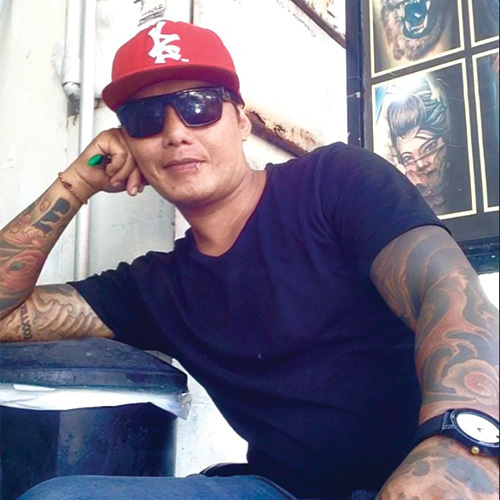 Bali, aside from being known for its natural attraction, is also famous for its number of tattoo artists. Many visitors choose a tattoo as their enchanting memory of Bali. By crafting a tattoo on their skin, they would be able to have a long lasting reminder of their excursion to this isle of godneses. There are many styles of tattooing you can find in Bali including old school, freehand, tribal and so on. You can also find an ethnic tattooing style of Bali with the picture of Barong and Balinese carving. 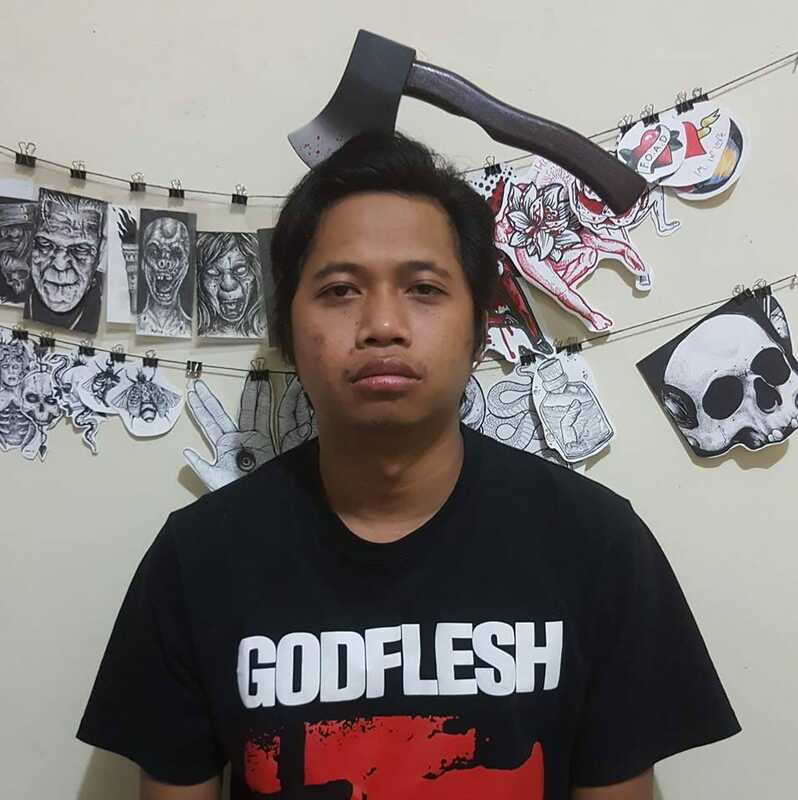 The safety of tattoos in Bali is guaranteed. The government really pays attention to the safety of the visitors by requiring all Bali Tattoo Studio to fulfill the standard they made. Each studio will have to have a tattooing license and will have to undergo regular check done by the related governmental institutions. 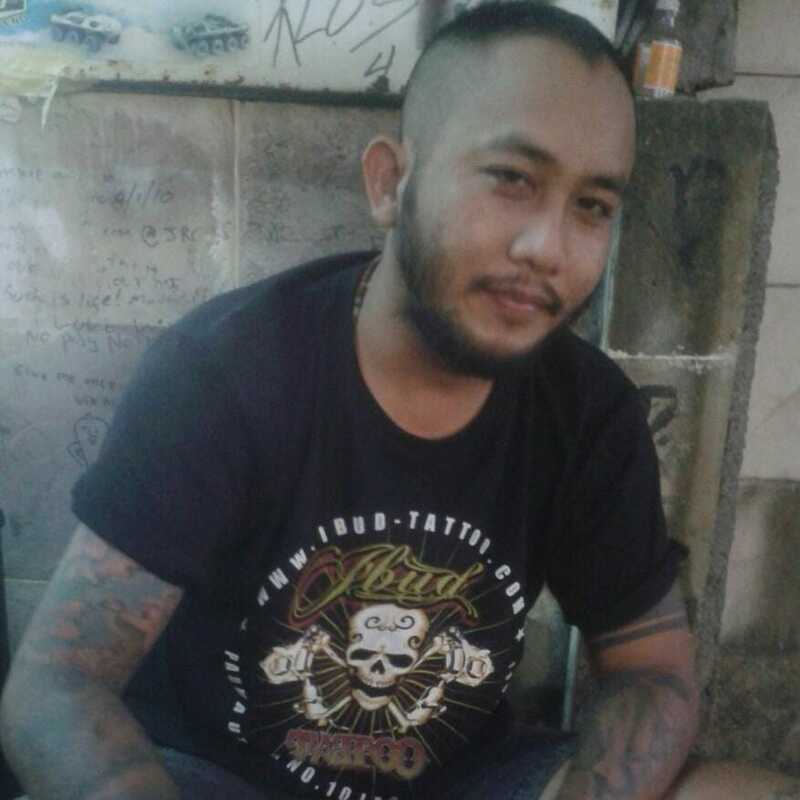 Not only that, but Bali Tattoo Studio should also join Bali Tattoo Artist Club which is a club where all tattoo artists in Bali gather as one. 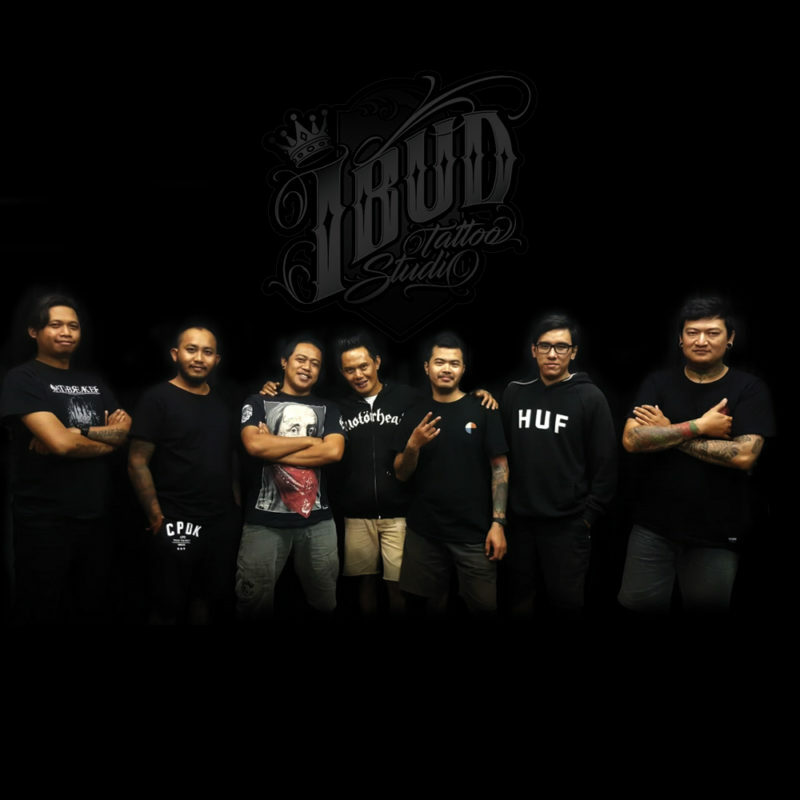 Ibud Tattoo is one of Bali studio tattoos that fulfill all the requirements of being standardized studio. The safety and hygiene of all equipments are above all. Each customer will always have a fresh needle and ink that makes it safer and impossible to transmit any disease. The Bali tattoo artists gathered here are fully experienced and have handled so many tattoos from black tattoos to color tattoos. 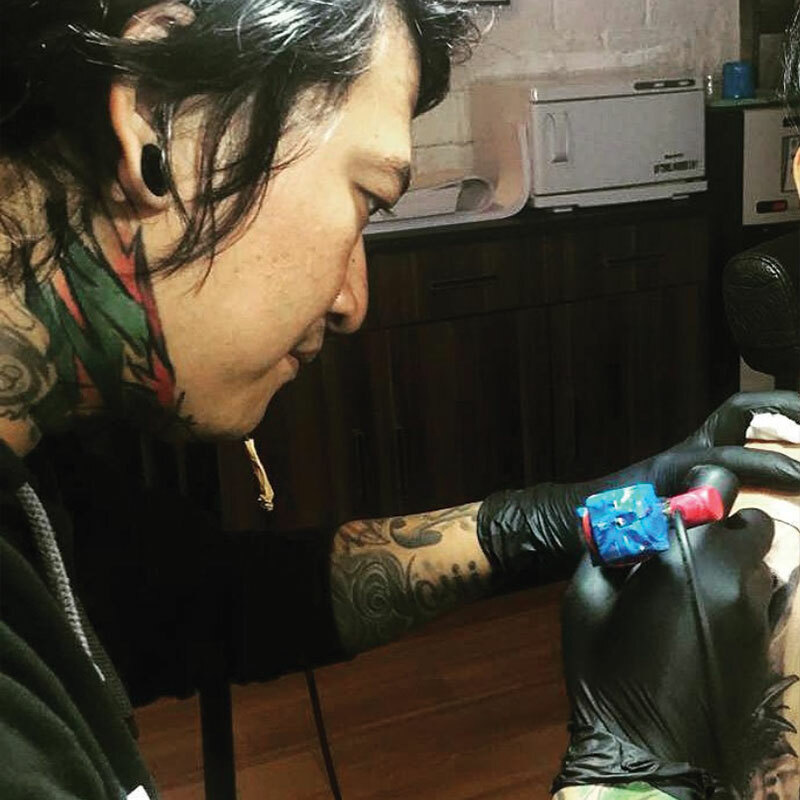 This tattoo studio is a favorite place for tattooing for both foreign visitors and domestic visitors. What a fantastic experience we had with these guys. Super friendly and amazing artists. Highly recommend their work. My husband and I both got great tattoos done. Will definitely be back for more. Highly recommend the crew at ibud. They will go above and beyond, their work is second to none! Great place in Bali to get tattoos done, fair pricing and great quality work done. Highly recommend! Absolutely recommend these guys!! Super friendly and amazing artists 👍👍👍 Had this done last week, love it!!! This is the second time we have been tattoo'd at Ibud. Awesome guys and extremely detailed work. Much better then the stuff I have seen in Australia. Tahu did both our tattoo's and was extremely efficient and detailed. He has amazing line work that would cost 4 times the price in Australia. Needles are all opened in front of us and the vibe in there is really great. USE THESE GUYS!! THEY ARE GREAT! Great work. I got a large leg piece, I have had a number of tattoos, but this was my longest sitting at one time. Artist was professional and great at tattooing through my annoying leg twitch. Super happy with the result. Clean and friendly, and fast. Highly worth it! Very talented artists! Very hygienic and professional but at the same time relaxed and great to talk to! My partner and I got a tattoo each on our holiday and both were large. Will be going back next time! Big thumbs up to the guys at Ibud, friendly professional hygienic and the work is amazing. Super happy with my tattoo and I would recommend them without question. Thanks guys!!! This place is awesome! I got my Tattoo here 2 years ago and am going back to bali next week, hoping to get another. They were clean, quick and i love my tattoo. Wont go anywhere else in Bali. It's very important that bookings are made in person as we need to be clear on design and placement before your actual appointment, however we will book tattoo appointment via email or our Facebook business page messenger if you live outside of Kuta Bali. We also take deposits to secure the booking slots time. And clients must paid for it in cash or PayPal and Australian Bank transfer if they booking through online. You're more than welcome to contact us with any questions or inquiries. After the consultation and bookings, you will need to pay deposit to locked out and securing the appointment for your tattoo. We take AU$100 cash/bank transfer/PayPal deposit for appointment that are just one session. For larger tattoos that require more than one session, we need AU$200 deposit. For multiple session pieces like full sleeves or full back pieces, a AU$300 deposit is required. All deposit are not-refundable. They go towards any research and drawing your tattooist does in preparation for your tattoo. And your deposit will be gonna through into the total amount of your tattoo on the appointment dates. Today is your appointment time ?! Prepare your self to be get inked. Will it hurt ? YES , pain will always be a factor when you get tattooed. Some spots on the body are more sensitive than others. If this is your first tattoo, you really have nothing to compare it to. The most important thing is to relax. The following steps will help you get prepared for getting in the chair. Remember ! Eat something and don't get drunk before your appointment day ! Get some enough rest before your appointment day, wear your appropriate clothing depends on your tattoo placement, Avoid sunburn before your appointment day. And sit still and relax during your tattooing progress. Just relax and let the tattoo happen. If you fight what is happening, or hold your breath, you will only make the pain worse. Relax and breathe, and you will help your tattoo be the best it can be ! At Ibud Tattoo studio we are award winning artists including number one in Bali in 2005 for black and grey, and best oriental in 2006. 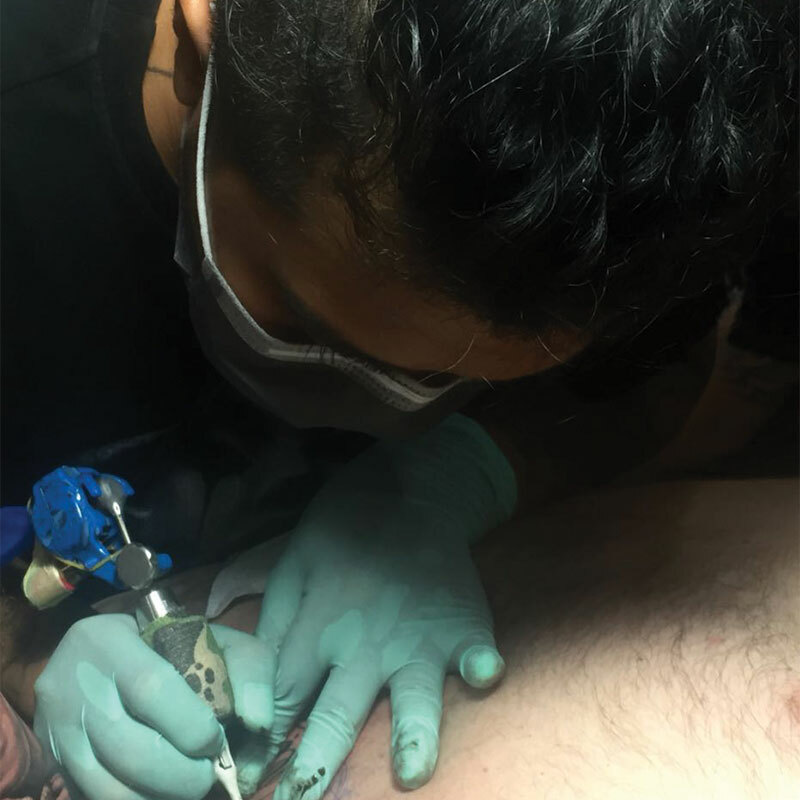 With 12 years experience, Ibud is proficient in all styles of tattooing with freehand being his specialty, all at reasonable prices. We take pride in our work and our biggest reward is to see a smile on your face when you see the finished product.